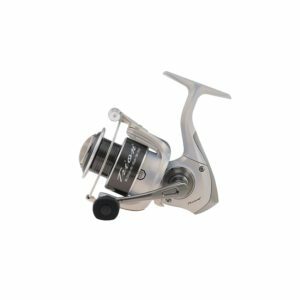 The Lew’s Mach Speed Spin is a premium 8-bearing reel with Zero-Reverse anti-reverse and quality solid brass pinion gear. Housing the proven guts is a rugged graphite body and side cover. 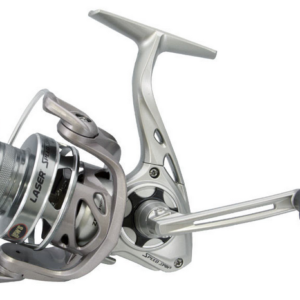 The reel’s Soft Touch finish adds a nice touch in durability and comfort. 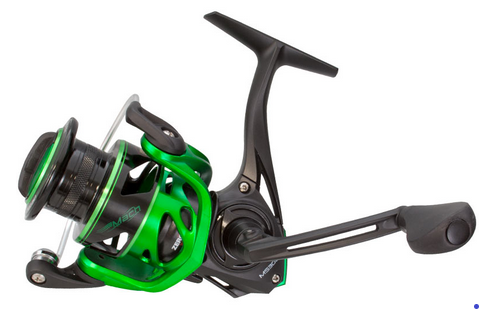 The reel has a skeletal graphite rotor and double anodized knurled aluminum spool. 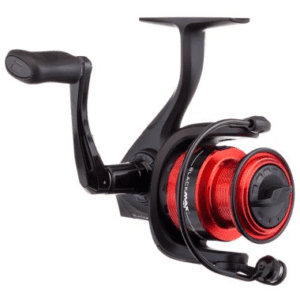 An oversized line roller helps reduce line twist. 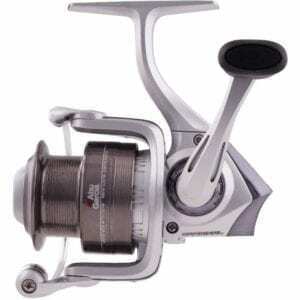 The heavy-duty aluminum bail wire takes care of business in picking line up and laying it down for smooth casting performance, cast after cast.